If there’s one thing YYR Games knows, it’s retro gaming. With predecessors like Snake 360 and Falling, Sharpshooter fits right in and takes you back to the days where you could lose a pocket full of quarters and a day pretty quickly. 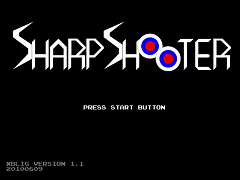 Sharpshooter is pretty self explanatory, but don’t let the simplicity of it’s title fool you, it’s a lot of fun. 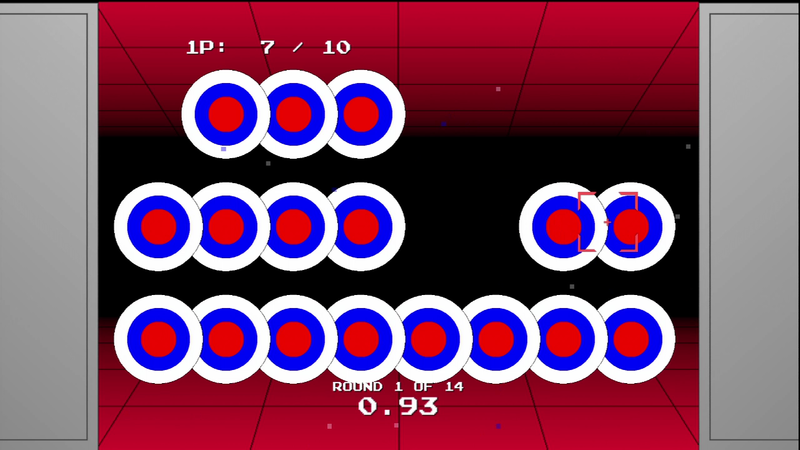 While Sharpshooter is inspired by the 8-bit arcade games of the past, the graphics are sharp and crisp. It even plays like a light-gun game, with white flashes after every shot. The point of the game is to, depending on difficulty, complete a pre-determined number of quick aim shooting challenges, ending with a “boss” challenge. The number of challenges are pre-determined, not the challenges themselves. 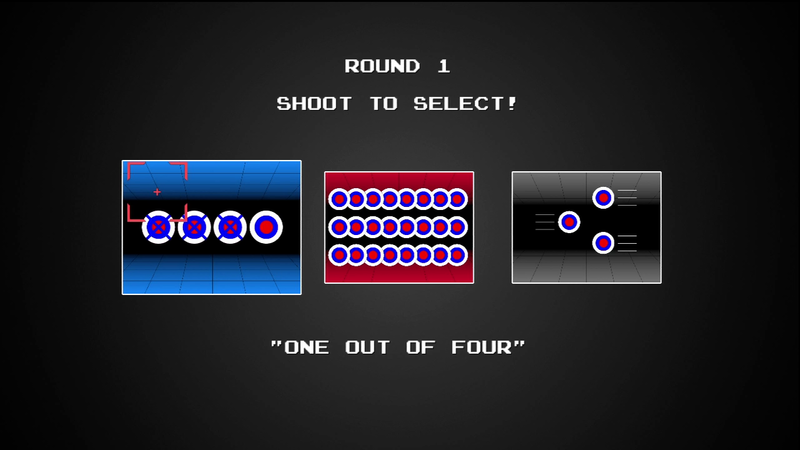 Before the start of each challenge, the player chooses one of three, with names the likes of “3 out of 4″, “1, 2, 3, 4, 5, 6, 7…”, and “Back and Forth” giving them a hint of the challenge ahead. 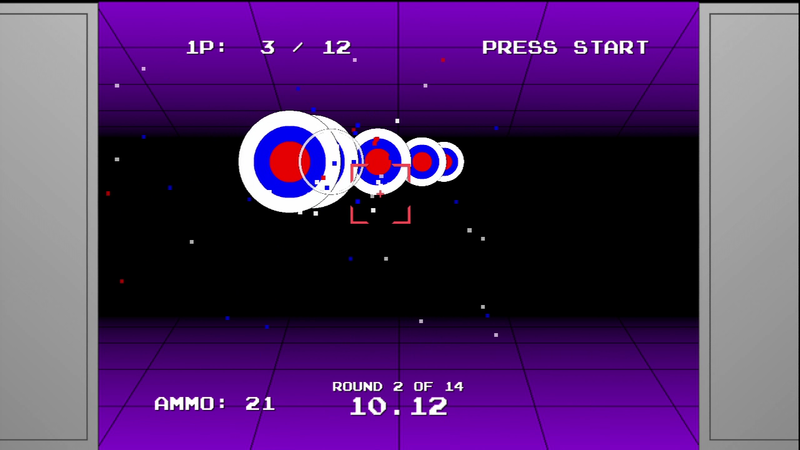 The player controls the reticule via the left thumbstick by directing it around the screen toward the chosen target. The reticule doesn’t scroll across the screen, but instead the thumbstick positions it. If the thumbstick is released, the reticule will jump back to the center of the screen. “Double Mode”, which is my favorite of the play modes, makes things much more interesting by giving the player a second reticule to control with the right thumbstick simultaneously. Just like the visuals, the sound is right out of an arcade cabinet. The music is a variety of midi style synthesized beats, ranging from things reminiscent of techno to speedy hard rock. Since it changes from game to game, it manages to avoid getting too repetitive. A reticule and targets. About as much story as you’ll find in Sharpshooter, but that’s not a bad thing. 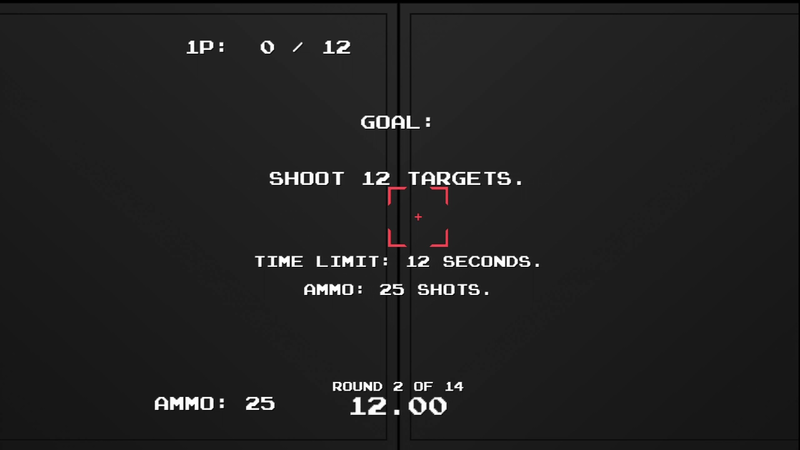 Just like the games that inspired it, Sharpshooter has a very addictive “just one more” play style. Combined with its various difficulties and “Double Mode” it becomes very hard to put down the controller. And since the player doesn’t have to lose a small fortune in quarters, it’s worth every penny.